Centurion says it can help retailers boost winter sales and profits with a quality range of wholesale electrical and lighting products; all at great prices. 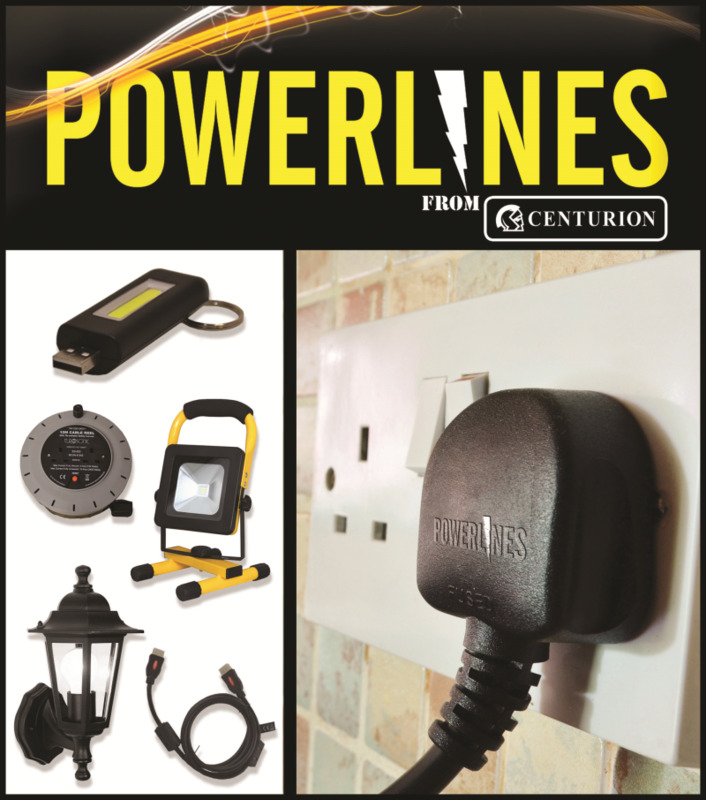 Centurion’s electrical products come pre-packed and retail ready branded under the popular Powerlines brand. The electrical range is trusted by DIY and tradespeople alike says the company, best sellers include wall sockets, electrical cables, junction boxes, terminal blocks and fuses. The lighting range boasts light switches, downlights, lamp holders, Centurion also supply a complete range of energy saving lightbulbs, including LED and Halogen Eco bulbs. Centurion also offer outdoor lighting with external floodlights, decorative lanterns and bulkhead lights and PIR security lights. The growing Powerlines torch range is made up of powerful LED torches and work lights, LED technology uses less power whilst giving users brighter lights. All come fitted with batteries ready to retail fitted. Centurion’s latest addition to the range is a compact USB rechargeable keyring light, perfect as a stocking filler this Christmas. Consumer electronics including extension leads, HDMI cables, USB leads, co-axial cables and plugs, as well as smoke, fire and carbon monoxide detectors.